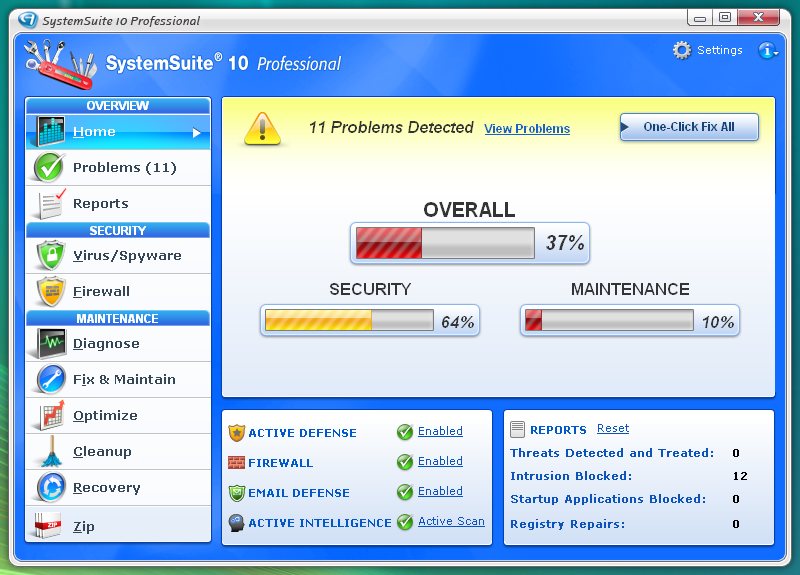 Avanquest SystemSuite 10 Professional is a security suite. And a Windows tweaking tool. And a PC optimiser. And a data recovery suite. And, well, it's an entire library of PC utilities in a single integrated and easy-to-use package. There's an antivirus engine to detect and block malware before it can cause any damage, for instance. A firewall keeps hackers at bay, an antispam module protects your Inbox, and antiphishing technology prevents you from accessing known malicious sites. The program uses many different techniques to improve your PCs performance. Startup Commander helps to cut down on the unnecessary processes that are often launched when Windows starts; Jet Defrag optimises your hard drive; and other tools will clean and defragment your Registry, remove temporary files, tweak key Windows settings, and more. A powerful data recovery system can create checkpoints of vital system data, for easy restoration later if Windows becomes corrupted. A File Undeleter makes it easy to recover accidentally wiped files. And you're even able to create a rescue disc, that could be all you need to get an unbootable PC working again. And the extras keep coming, everywhere you look: an archiving tool, system information module, Registry editor, and a Shredder to securely delete confidential files, amongst many others.